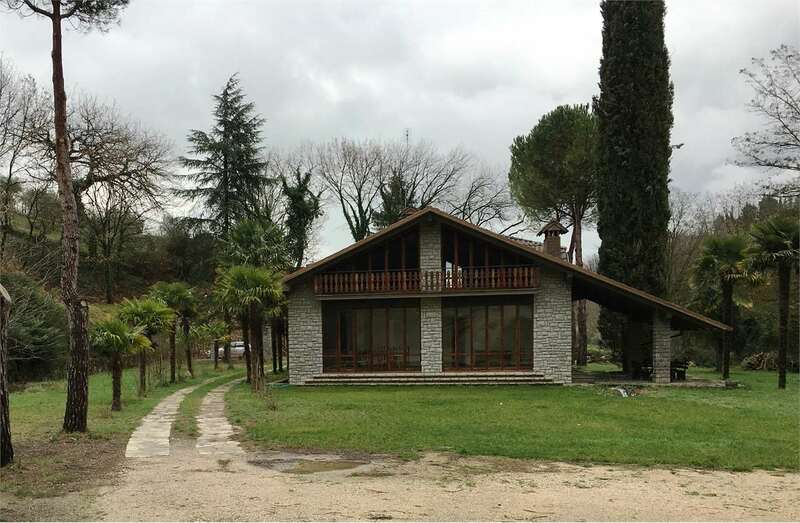 Ponte Pattoli, House of the Devil, historic villa surrounded by a private park of 6000 sqm. The villa is on three levels plus a basement where there is a cellar with vaulted ceilings of about 100 mq.La villa has a rectangular base (m. 20x12), Ground Floor, with 3 separate entrances, there is a spacious hall from which part of a large staircase connecting the different levels. Also a living room, a large kitchen, back kitchen, dining room, study, other room, bedroom and bathroom. On the first floor a corridor that gives access to 5 bedrooms, a living room, and bathroom. On the second floor there are seven other rooms a bathroom. The villa is located in the center of the village and is equipped with all services, close to the main communication services. As a whole is in fair condition but needs a special maintenance to make it habitable. its use lends itself as the main residence for mixed use extra hotel. The sale also includes antique furniture and furnishings. Also included is a historical building (caretaker's house) on two floors of 120 square meters. and a park with tall trees of 6000 m² of which part of the land is buildable.